Rho Fiera Milano station will become a new major rail hub for visitors to the World Exposition in Milan. For the period of Expo 2015, the station name will be extended to become Rho Fiera Milano Expo 2015 (photo © Roberto Bellani). For six months this year, a new major hub for long-distance trains will appear on the rail map of Lombardy. The Expo 2015 site north-west of Milan will have a dedicated railway station for visitors to the exhibition which runs from 1 May to 31 October. The station is called Rho Fiera Milano Expo 2015. With an Expo theme that foregrounds environmental choices (‘Feed the planet, energy for life’) the organisers of Expo 2015 are keen that visitors to the World Fair leave their cars at home and travel by train to Milan for the event. So much so that Expo 2015 looks set to break all records when its comes to the sheer number of visitors arriving directly at the exhibition site by long-distance train. Mega-events such as Expos, the FIFA World Cup and the Olympics have often relied on rail transport to shift vast crowds. Berlin and Sydney both have railway stations which are the legacy of Summer Olympics (in 1936 and 2000 respectively). But these stations were designed essentially for urban mass-transit — that is for local trains bringing visitors out to a venue from the city centre. For last year’s winter Olympics in Sochi, a dedicated railway line was built from Adler on the Black Sea coast up to the mountain Olympic venues at Krasnaya Polyana, but that new line was not served by any long-distance trains. Passengers from Moscow and other cities in Russia had to change trains in Sochi or Adler, connecting at one of those stations onto the dedicated Olympic shuttle train into the mountains. Readers may recall that the early plans for the London Olympics included provision for high-speed trains from the continent to run directly to Stratford International railway station. In the end, those services never materialised, although the station name Stratford International remains as a reminder of what was once planned. The Milan Expo is truly innovative in the way in which every day thousands of rail passengers will arrive on long-distance trains directly at the Expo station. Whether the hoteliers and shop owners of central Milan see this as quite such a good idea is a moot point. 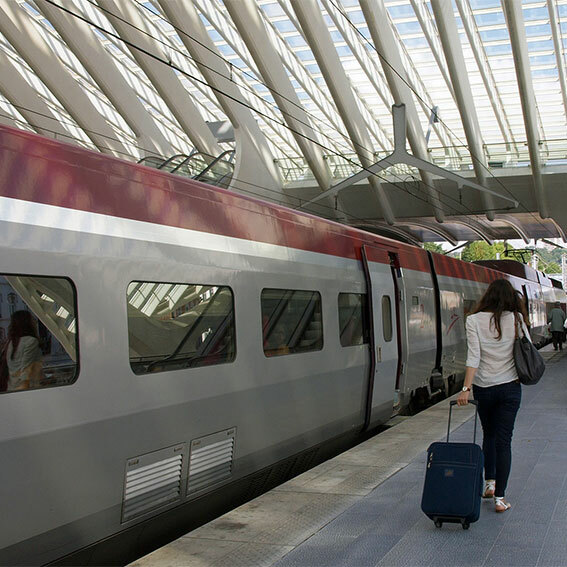 Rho Fiera Milano Expo 2015 will have direct night trains from Paris, Dijon and more than a dozen towns in southern Italy. There will be direct TGV services from French cities (including Paris and Lyon). Hourly local trains will shuttle across the Swiss border, and there will in addition be comfortable direct Eurocity services from Basel, Berne, Geneva, Lausanne, Lugano and Zurich. Those with a sense of history will opt for services from Switzerland via the Simplon Tunnel — the opening of which coincided with the start of the last Milan Expo in 1906. Just as the Eiffel Tower was the symbol of the 1889 Paris Expo, so the Simplon Tunnel was the signature innovation of the 1906 Milan Expo. There will be an impressive range of inner-Italian services direct to Rho Fiera Milano Expo 2015. Both Italo and Trenitalia high-speed trains will serve the station. The journey from Naples, more than 800 km away, will take well under five hours. Our table below shows travel times on direct trains to Rho Fiera Milano Expo 2015. 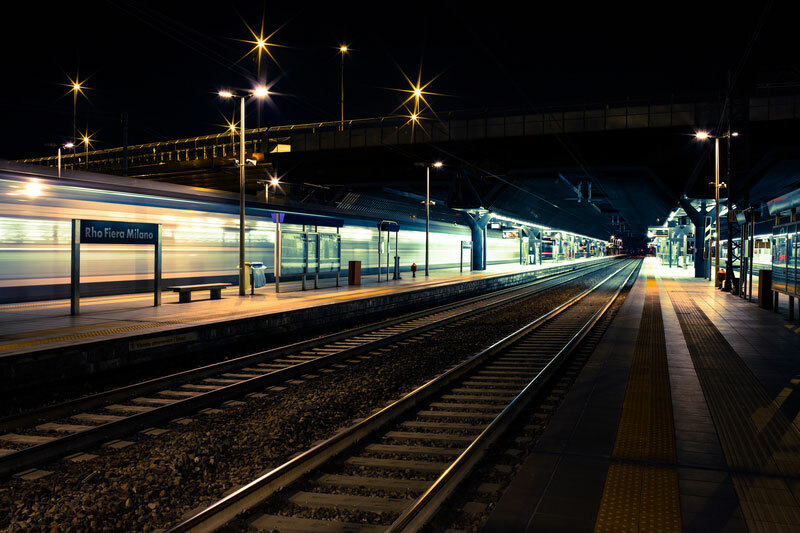 More details about train services to the Milan Expo will be published in the May 2015 issue of the European Rail Timetable (ERT). That issue of the ERT will also have an article recalling the importance of the Simplon Tunnel in the arrangements for the 1906 Milan Expo.